Chickpeas are good all round food from the nutrition perspective. They are an especially good source of fibre. Two cups of chick peas contains the entire recommended daily allowance of fibre. 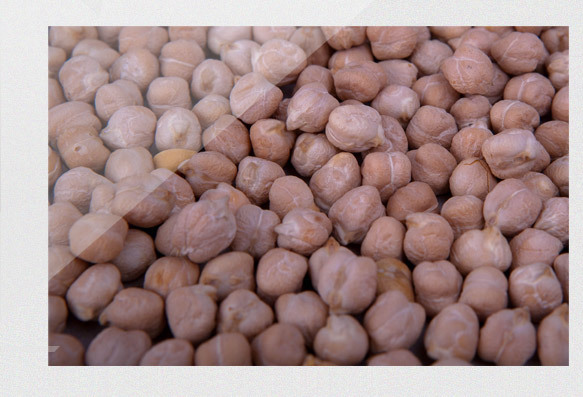 Chick Peas are sometimes referred to as Garbanzo Beans and are one of the earliest cultivated foodstuffs. The plant grows to be between 20 and 50cm tall and like all pulses they are produced in a seedpod. A single pod will reveal two or three chickpeas. They need warm weather and up to 400ml rain to thrive and provide higher yield crops. They are consumed in one of two ways. Either as whole beans after cooking or following grinding into flour called gram flour in Indian cuisine. They are often known as Garbanzo Beans in locations such as the Philippines and the Americas.